Fearing a turn for the worse in the global economy (and taking a lesson from history), Germany is buying more gold. Find out what past lessons are guiding them to the precious metal. 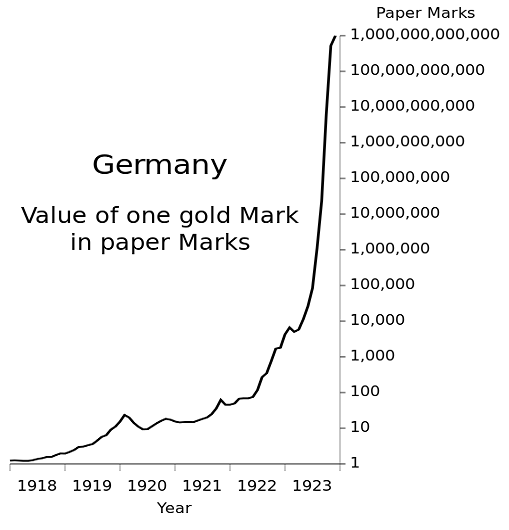 The Germans are well aware of what this money printing can do to a currency; they don’t need to look any further than their own Weimar Republic from the early 1920’s. Meanwhile, far too many Americans aren’t paying attention to the shifting tides. Far too many Americans don’t understand gold’s value in a portfolio, or think that their savings are “diversified” because they hold various paper stocks and mutual funds. But for those who understand why gold is such an integral part to any savings, now is a great time to get started. Get even more news from our Facebook page. Join the 14,000 people who already follow us here.